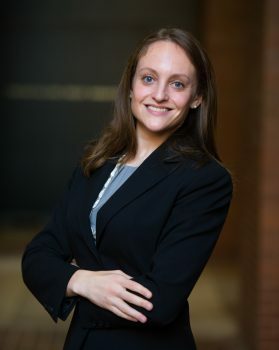 Ms. Litovitz is an associate in the Business, Employment and Real Estate Practice Groups at Jackson & Campbell, P.C. She advises corporate clients in all stages of the business life cycle, including structuring and forming business entities, drafting governing documents, handling licensing issues, and preparing business and operational plans. As her clients’ businesses grow and expand, Erica provides guidance on a host of employment-related matters, from hiring to termination. She helps clients navigate federal, state, and local wage and hour, discrimination, and leave laws. She drafts employee handbooks and other personnel policies, as well as employment agreements, severance agreements, and non-compete and confidentiality agreements. She also drafts and negotiates agreements related to joint ventures, mergers, acquisitions, and other corporate reorganizations. Additionally, Erica serves as outside corporate counsel to a major hospital. She regularly reviews and negotiates a wide range of agreements, including software licensing and subscription agreements, software as a service agreements, service agreements, staffing and consulting agreements, participation and data use agreements, and advertising agreements. She also advises smaller physician practice groups on compliance with federal and state data privacy laws and helps them manage and respond to data breaches. As a real estate attorney, Erica assists clients in the acquisition, development, and management of commercial and residential real estate. She has extensive experience in documenting and negotiating leasing, acquisition, and financing transactions on behalf of property owners, developers, and other interested parties. Erica works closely with condominiums and housing cooperatives in the Washington metropolitan area. She is often called upon to prepare and review their governing documents, rules and regulations, and other policies and procedures. In addition, she assists the associations’ boards in enforcing rules, collecting delinquent assessments, and managing third party contracts. Erica also advises clients on compliance with fair housing laws, design accessibility requirements, and other state and federal anti-discrimination laws. Erica earned her J.D. from Emory University School of Law in 2013, where she was managing editor of the Emory Bankruptcy Developments Journal. She graduated from the University of Virginia in 2010 with a degree in history. She is admitted to practice in the District of Columbia, Maryland, and Virginia. Commercial Real Estate Women D.C.